However it is not just her blog that attracts thousands of followers and fans. As an independent designer and artist who studied design for five years at HDK School of Design and Crafts in Gothenburg, Sweden; Elisabeth’s work combines the finest of illustration and photography with set design and other visual contexts. Her quirky products sit perfectly amongst the unusual merchandise found on the shelves of retailers such as Urban Outfitters and Ikea, with sketched wallpapers by her eight-year-old son, whale oven mitts and wooden spoons with faces. 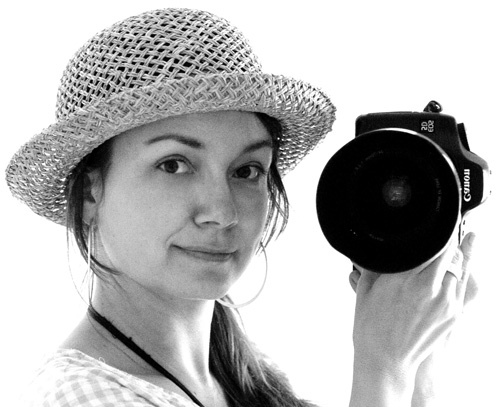 Elisabeth likes to create a whimsical and “not so perfect” feel to her creations. Inspired by simply strolling through garage sales and flea markets, Elisabeth focuses on finding creative and playful solutions and moments. Her blog reflects her inspirations effortlessly, with photographs of the deep green Swedish summer, the rich patterns and textures of her home, and the sweet imaginations of her children. It is no wonder that Fine Little Day has gained her a place on The Times Online world’s best design blogs list. Elisabeth doesn’t intend for her designs to have a functioning purpose, but to provide decoration and eye candy for homes across the globe. 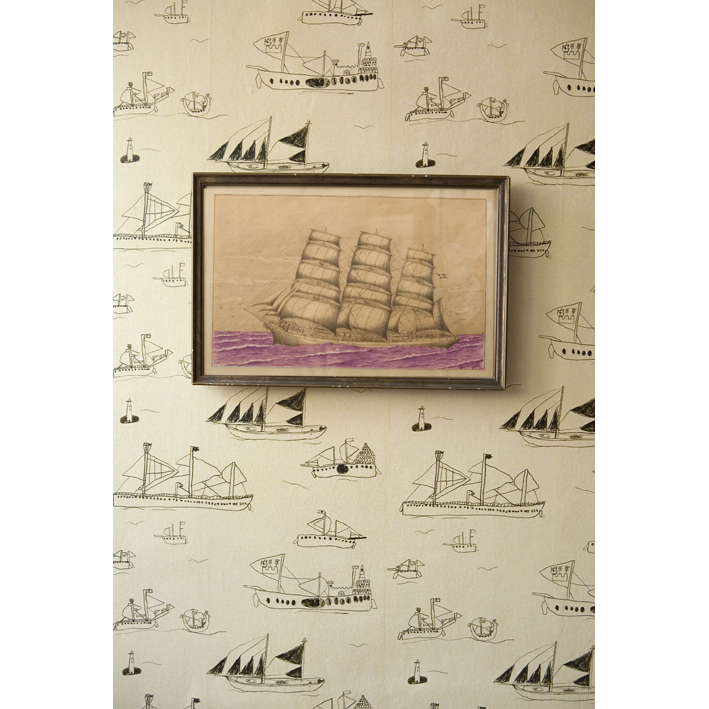 We particularly love this wallpaper design, Ohoy, drawn by her eight-year-old son Otto featuring nine different sailing ships, waves and small lighthouses drawn with graphite pen. The wallpaper was nominated in Sweden’s largest professional meeting point for Nordic design – Formex Formidable 2010. 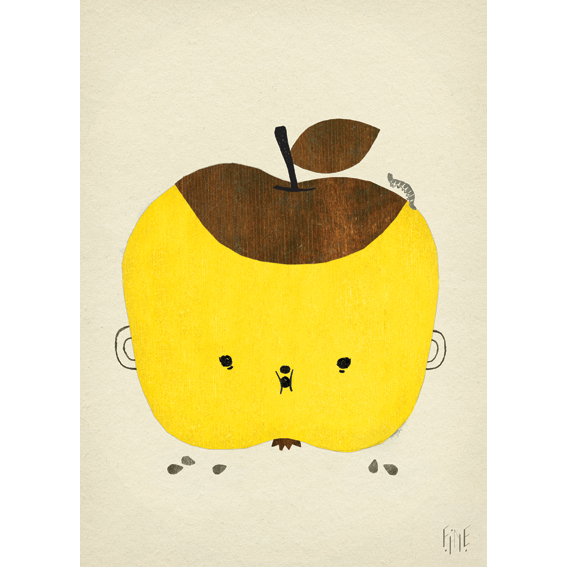 This Apple Papple poster is one of Fine Little Day’s most popular products to date. Named after a traditional Swedish nursery rhyme, we love its quirkiness and ability to brighten up any room! A personal favourite, this BU Blankie/Indian is bound to be every child’s perfect comforter, combining play with cosiness. 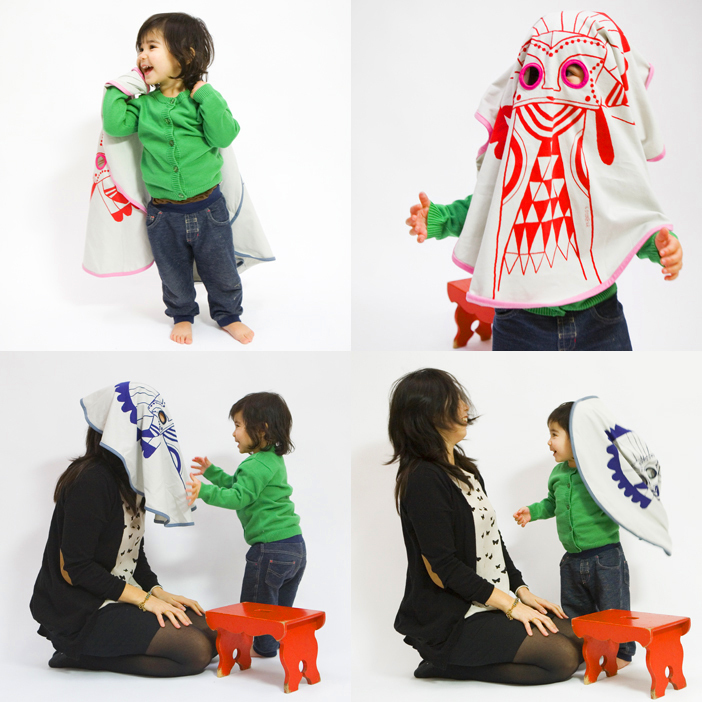 This soft blanket features two holes in the middle to double up as a “peekaboo sheet”, enabling little monsters to dress up anywhere and at any time, which is bound to keep them amused for hours! This will make a wonderful yet practical gift for all little ones. Make sure you bring the whimsical charm of Elisabeth’s world into your own home with designs from Fine Little Day, visit her blog and shop by clicking here.